CLTherm | Design, Supply and Erection of fully integrated building solutions using Glulam Engineered structures. Up until now the technology to pre-insulate CLT has only existed at the point of manufacture; however the cost-benefits of doing so were up for debate given that, so far, all CLT is manufactured in mainland Europe. 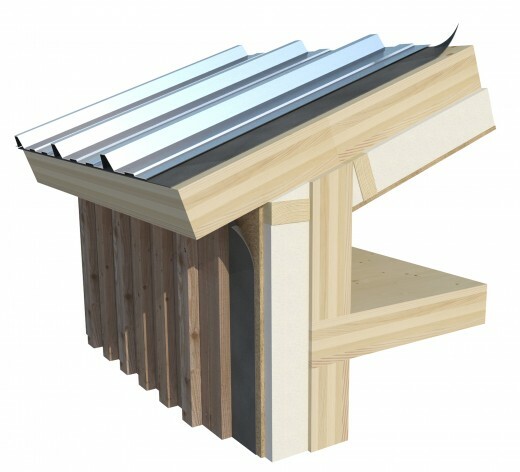 Now it is possible for us to import CLT from Europe and further prefabricate in our own UK factory environment – resulting in panels with an applied membrane and a layer of insulation (thickness dictated by specification / required u-value) which assists greatly in getting better quality and a quicker weather tight superstructure (whilst drastically reducing site waste). This is a bespoke solution and may not be suitable for every project – we will be happy to advise further for specific projects.